With the Terex TSV70 weighing in at right around 8,000 Lbs and still having a huge tipping weight of 5,200 lbs, these skid steers can really move some material. Whether your Terex TSV70 or TSV80 skid steers are used in the construction industry, farming, or just around the house they are extremely powerful and capable for this size machine. 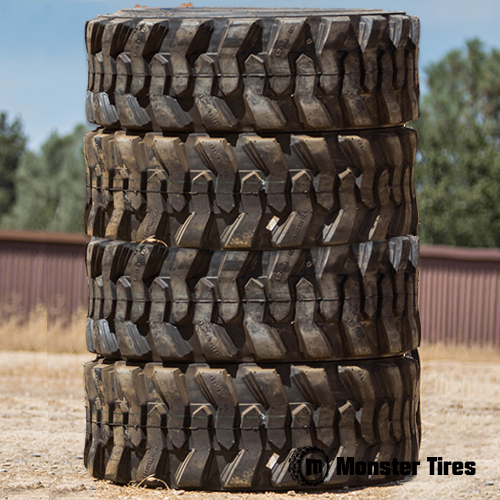 Monster Tires is here to be sure you only put tires on your Terex Skid Steer that will hold up to the large power and abilities of these skid steers and not leave you stranded on the job.